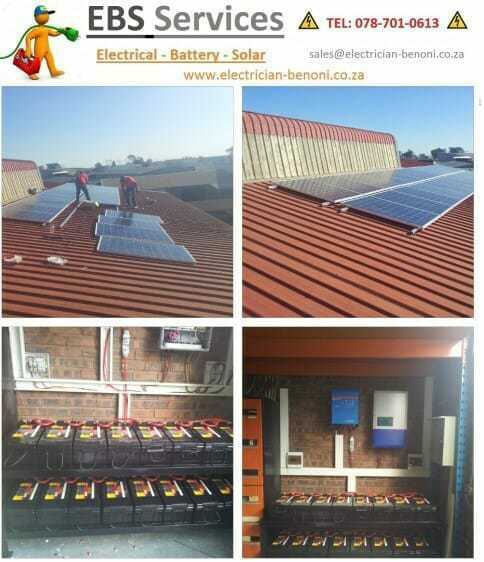 Need a Good Electrician (Benoni,East Rand areas)? 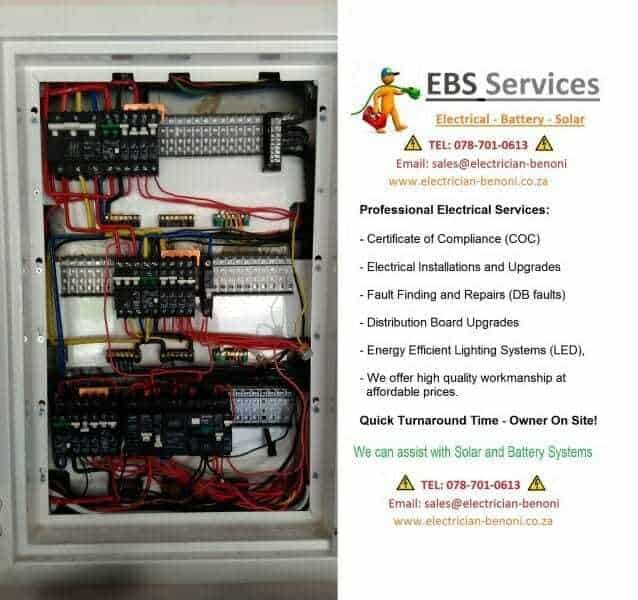 Benoni Electrical Services done by EBS Services, are here to assist, from large projects (“rewire” a house or office as part of an Upgrade) or smaller electrical requirement. 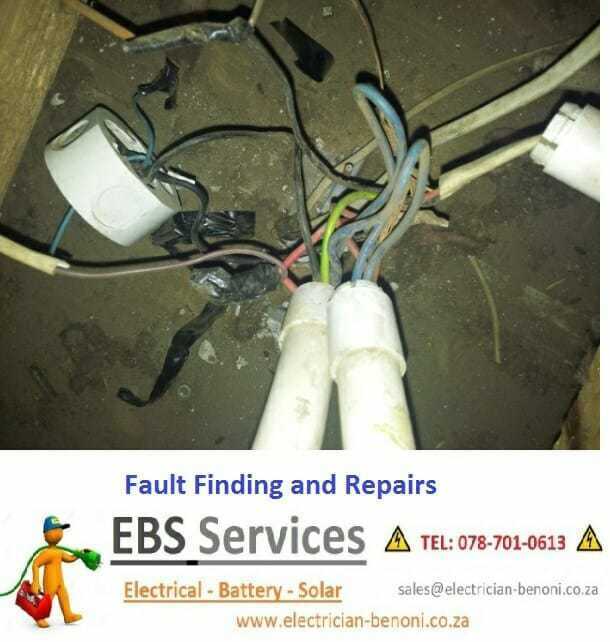 We believe in Quality and Qualified Installations of new products, Repairs to damaged electrical cables or electrical installation testing of faults eg. “DB Earth Leakage Tripping”. 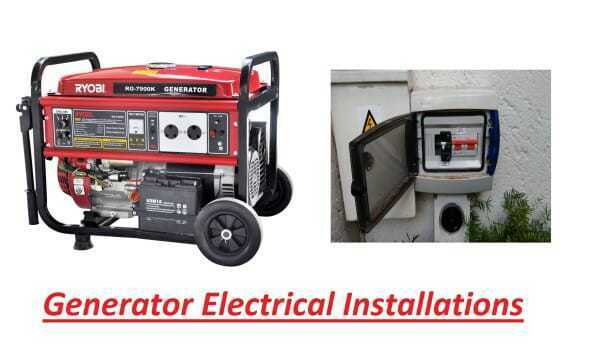 Benoni Electrician currently services Benoni (most of Gauteng) and Outlying areas. Office upgrades, Outdoor Lights and Workshop/Warehouse. Surge, Lightning and Earthing Systems, Transient voltages. 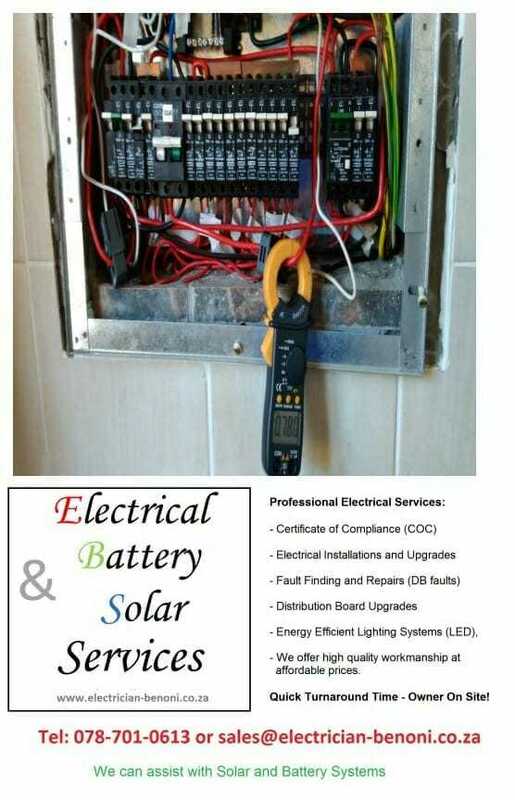 Best electrician workmanship and quality service all the time, need an electrician? 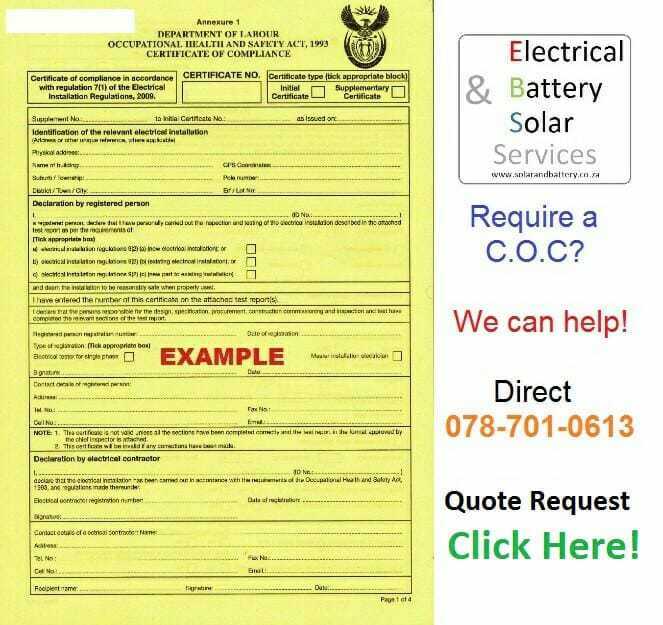 Contact Us for a cost effective Solution. We will be able to assist on both levels for Large office blocks and Complexes to Residential Maintenance and Fault Finding.